The fictional series details the intertwined lives of immigrants from around the world who have chosen to make New York their home. At a time when the public dialogue about immigration to the United States has never been more fraught, a beautifully executed new web series by filmmaker Arthur Vincie presents the exciting, terrifying, weird, experience of immigrant life in New York in gorgeous detail. "Three Trembling Cities," a 10 episode series, chronicles the dramatic lives of fictional characters who have arrived in the city from far-flung corners of the globe. "It’s an intimate portrait of the inner lives and daily struggles of the immigrants who make NYC’s heart tremble with hope. 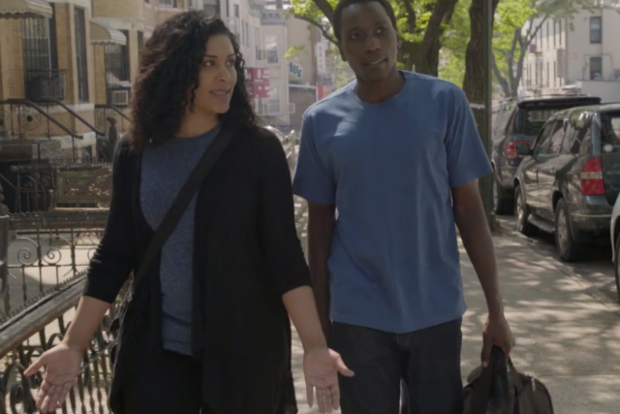 The first season follows two circles of fictional immigrants as they juggle jobs, relationships, family expectations, and dreams," Vincie explains in an email to Bushwick Daily. The action is grounded by a short segment at the end of each episode in which a real immigrant New Yorker describes his or her own experience as a relatively recent arrival to the melting pot. The first season runs about 90 minutes taken all together; plan a night in to check it out, and keep an eye out for some recognizable Bushwick architecture and footage from the Bushwick Flea in the final episode! Featured image: a still from "Three Trembling Cities."